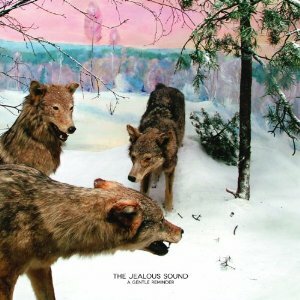 A Gentle Reminder is the second full-length album from The Jealous Sound in almost a decade, after the successful release of Kill Them With Kindness in 2003. The rigors of touring and promotion left front man Blair Shehan exhausted and out of inspiration. A reunion and tour supporting Sunny Day Real Estate in 2009 rekindled the love of rock and the band got back to work. Fans of The Jealous Sound and indie rock will not be disappointed. A Gentle Reminder has a more subdued sound than Kill Them With Kindness but the powerful ascending chords trigger underlying feelings of hope in the music. “Beautiful Morning” stands out as the most poignant track on the album and is the perfect start to the narrative of The Jealous Sounds’ return. Even the thought process of the struggling artist reflects in the track titles – “Promise of The West,” “This Is Where It Starts,” “Perfect Timing.” I can even hear the air quotes of rebellion on “Change You” as Shehan sings the lyrics, “And they want to change you…” On first listen A Gentle Reminder is a solid rock album with powerful rock chords and strong vocals, but there is a more human side to the story. I encourage you to listen to the feeling under the words, for it is not only an artist’s struggle that we’re hearing, but the everyday struggle to find ourselves.